In this post, we share the three advantages of installing Gerard Roofing’s metal and stone-coated metal roofing systems. Stone-coated steel roofs from Gerard Roofing can withstand extreme weather conditions that can damage lesser roofing materials and still look and protect like new for a lifetime. Asphalt and ordinary roofs have respectable service lives of 20 to 30 years. Your new stone-coated steel roof will last longer with proper care and maintenance, and may even outlast the rest of your house. Gerard Roofing’s wide selection of metal roofing systems boasts advanced design and protection. Each roof is built to last and withstand whatever Mother Nature throws at it. Each roof also comes with impressive warranties, including a 120-mph wind warranty and a 2.5 inch Hailstone Warranty. The roofs we offer also carry a Class A Fire Rating, offering the best protection against fire in the industry. Such advanced protection makes your new Gerard Roof a true lifetime system for your home. While it’s true that Gerard Roofing’s selection of stone-coated steel roofs cost more than other roofing materials, what you’re getting is a long-term investment. When you install a stone-coated steel roof, you won’t have to worry about replacing it until you’re old and gray. 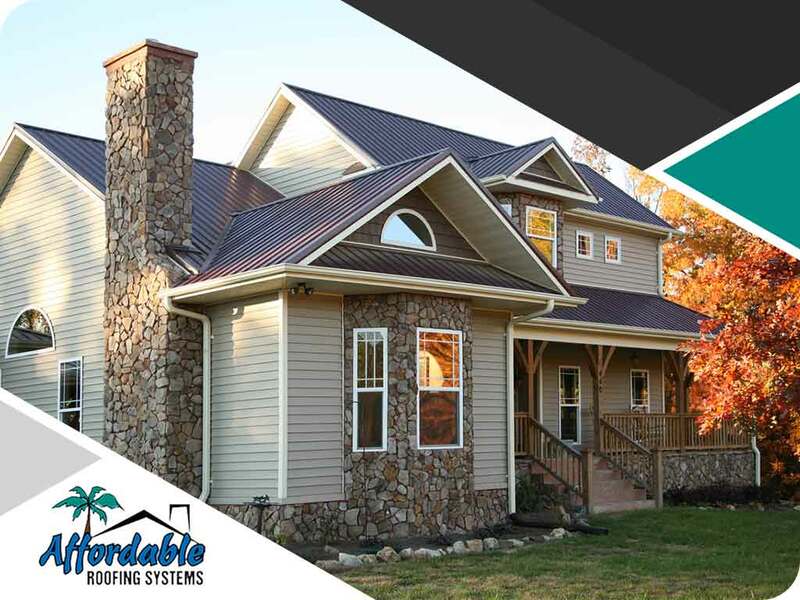 Apart from the increased savings you’ll see on your utility bills, you may be able to lower your home insurance premiums by as much as 35% thanks to the proven protection of a Gerard stone-coated metal roofing system. Affordable Roofing Systems will properly install your new Gerard Roofing system so you can take full advantage of its unique features and benefits. Call us today at (813) 400-2515 or contact us here to learn more about our services. We are a local roofing contractor in Tampa and St. Petersburg, FL.